The story of the season continues. Once again Leicester were undone by defensive frailties and could not fight back to earn the point - let alone the three - which they deserved. City were often impressive in attack, particularly in the second half where the spirit and determination for a fightback seemed present in abundance, but did not take enough chances to make the difference count. As at Ewood Park and the Valley, City probably had the edge in everything but the final score. Taking risks was once again the difference. Whilst the Foxes were slow and meticulous in their build-up play, Wolves used pace and power to drive forward and attack Kasper Schmeichel's goal. It is testament to his efforts, and those of both Wes Morgan and Liam Moore, that both of the home side's goals came not from open play but from set pieces. Nigel Pearson is sorting-out the Foxes' resistance to the counter attack, but for a man renowned for his defensive nous, Leicester's frailties from corners and free-kicks is embarrassing. 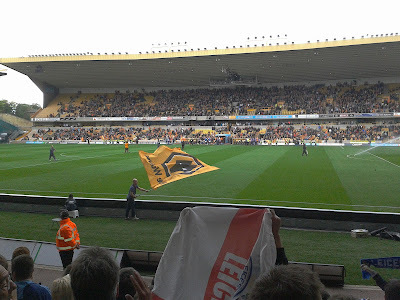 The tricky French winger caused substantially more problems than the largely ineffective Lloyd Dyer following his second half substitution and Wolves were worried by his nifty footwork and ability to create something from nothing. What Knockaert needs to prove is his ability to finish from open play and his delivery of a final ball. Sorting out those aspects of his game would make him a truly awesome footballer. 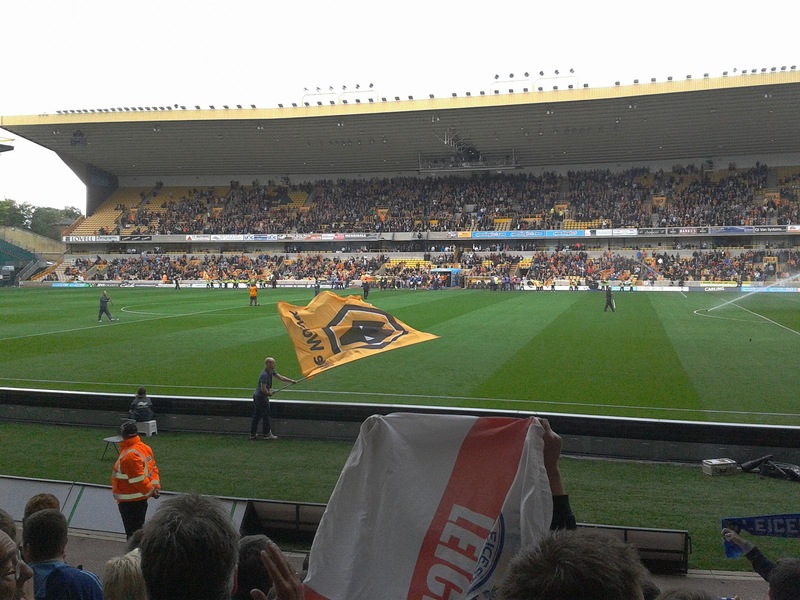 Under-21 international Martyn Waghorn needs to show his worth to Stuart Pearce and Nigel Pearson when presented with an opportunity and he did that with a solid display at Molineux. Waghorn caused problems for Wolves with his power - he is solidly-built having spent much of last season rebuilding from injury - and pace. He does offer an alternative attacking option to Pearson, being a rather different player to the other strikers on Leicester City's books and it will suit him that he could be utilised as an impact player this season. Waghorn certainly had an impact on this game and his appearance would have been hailed a tactical master-stroke had his late shot fallen just a few inches to the left of Carl Ikeme's right post. Following a run of poor performances, this was the tonic needed to spur Paul Konchesky onwards and upwards. The City full-back put in his best ninety minutes of this season, capping it with a tremendous - unfortunately consolatory - goal. Dyer by name, dire by nature at Molineux. Lloyd Dyer has been a mainstay in Nigel Pearson's side but perhaps his time is reaching its end; the emergence of Knockaert is putting his starting place under serious threat. Dyer's touch, dribbling and final ball all left much to be desired on Sunday, as it has for large periods of his time in the East Midlands. For neither of City's starting strikers to trouble the score sheet in a game with so many opportunities is worrying, with the closest either coming being David Nugent's header that fell straight to Ikeme in the Wolves' goal. Both need goals to aid the team but also to build confidence in themselves. City are no longer markedly shy in front of goal, but those goals are currently coming from midfielders and defenders - the strikers need to do their job and take a lead.